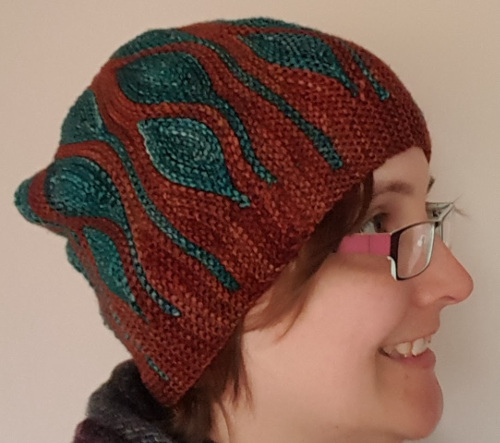 I’m tending to wear it with the brim tucked underneath for about an inch, which makes it warmer round the ears and fits better at the crown. I finished the Hilltop Cloud fibre. Very happy with the colours here. 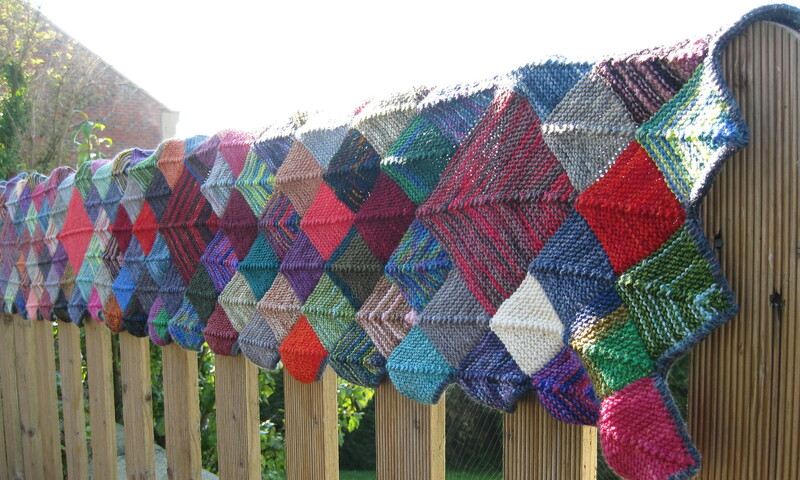 Can’t wait to see what it knits up into. I think it’s about a DK weight. And finally, the kids’ Christmas presents, which were presented to them on New Year’s Eve. The daughter knew all about the son’s toy as she had seen me making it. The son knew about the daughter’s. They were both very chuffed with the creatures. The one on the left was named Bella by the recipient and was immediately promoted to a must-have bedtime companion. 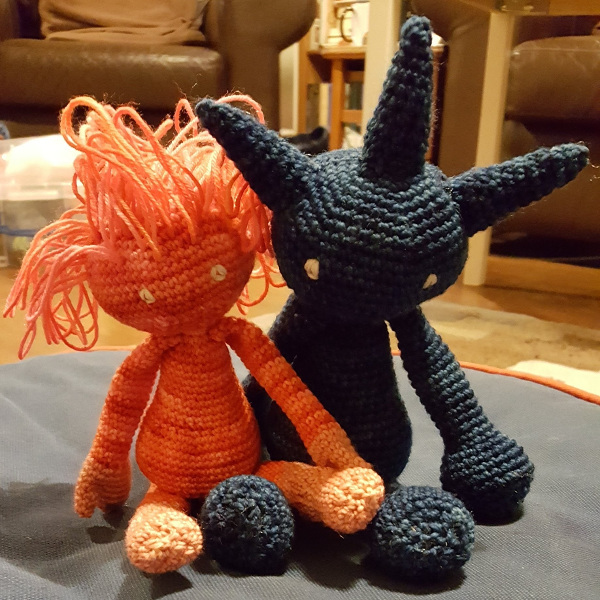 I wasn’t done with making these creatures. More to come in 2018. 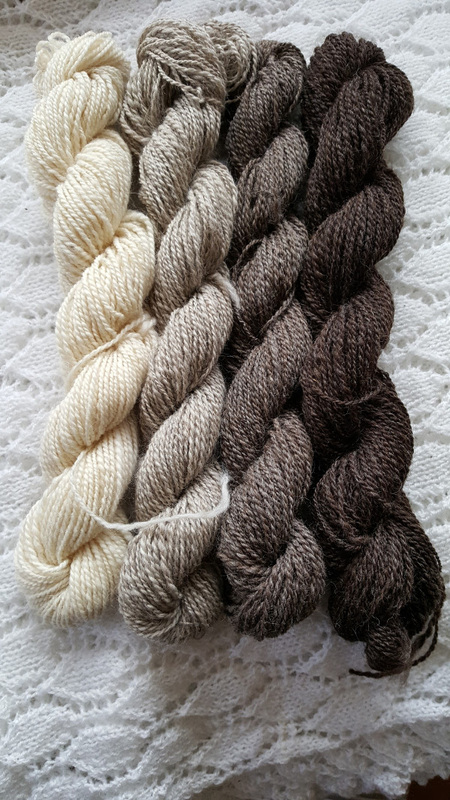 Looking back, I can see that I talked about the Masham fibre that I spun, but never showed a picture. Here it is. I think that brings 2017 crafting to a close. 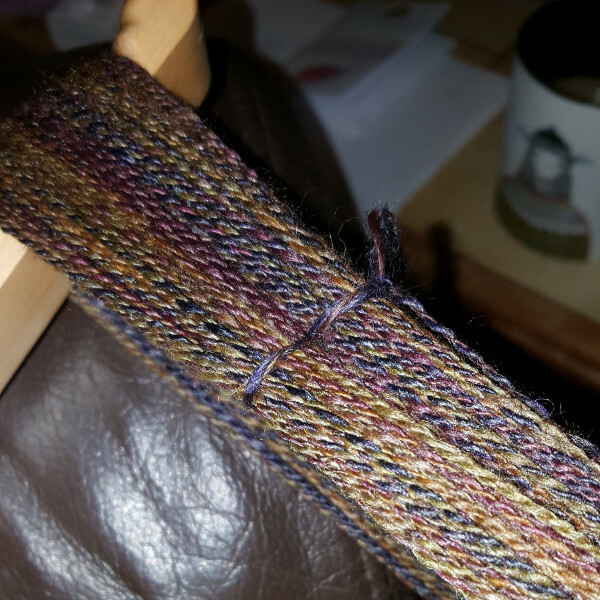 Brioche stitch – tried it on a swatch. Next year make a wearable item. Watch more Craftsy classes – I did watch more, but I’ve still got plenty unwatched. I’m going to call that a successful year. It definitely looks like a successful year!